After gaining an Oxford fellowship at the age of twenty-one, Goronwy Rees (1909-79) went on to write for the Guardian and the Spectator before becoming Principal of the University College of Wales, Aberystwyth in 1953. A Marxist intellectual turned cold warrior, who also claimed that ‘writing books is the only thing I’m serious about’, he became a full-time writer in 1957 following his acrimonious resignation from Aberystwyth over revelations about his friendship with Guy Burgess. This first study of Rees as author sets his writings in the context of a dramatically eventful life. John Harris also discusses Rees’ complex relationship with Wales and how, although an unwavering advocate of home rule, he was perceived in his native country as being anti-Welsh. 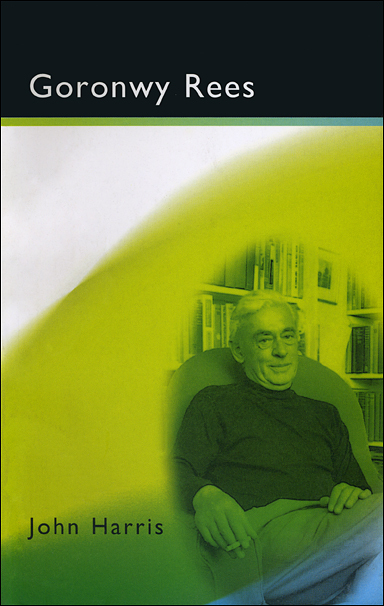 Whatever his personal trials, Rees kept up writing, publishing a powerful novel of ideas, a range of non-literary books, and two fine volumes of memoirs blending fictionalised autobiography with acute social analysis. “This is the first substantial, objective study of Rees’s fascinating life and was assisted by the unstinting co-operation and reminiscences of his only daughter, Jenny Rees.